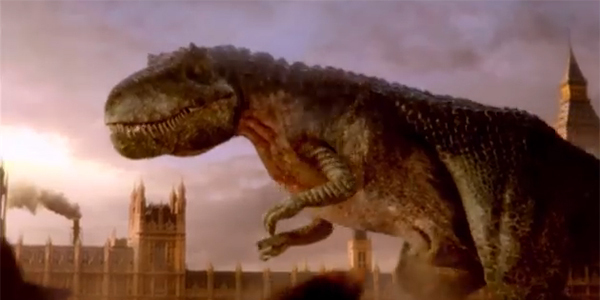 Flirting with a T-Rex is not the worst way to introduce yourself as the new Doctor. It certainly beats trying to strangle your co-star or getting knocked out by a kissogram (arguably). Such was Peter Capaldis debut as the Twelfth Doctor in Deep Breath, an exhausting and initially uneven 80 minute episode that builds into one of the most tense and exciting stories so far in modern Doctor Who. Fears that Capaldis age would rub off on the Twelfth Doctor appear to be unfounded, since his post-regenerative mania easily rivals that of his two predecessors for both energy and comedy. The incredible vigor it starts off with is maintained through the first third of the episode, thanks largely to the use of familiar faces to avoid having to introduce new characters. The Doctors fast-paced horseback escape and passionate response to the immolation of Theodora Rex make it abundantly clear that the character has retained his intense zeal. Unfortunately, the episodes pace seems to reach burnout once the T-Rex is gone, and there are signs that Moffat was given an extra 20 minutes for theatrical release after writing the script and scrambled to justify it. Granted, the disjointed collection of scenes that follow are all fantastic in isolation: giving Vastra, Jenny and Strax some long overdue character development. In particular, Vastras stern admonition of Clara for her reaction to the new Doctors face was perfect. But they felt more like deleted scenes than part of the plot and the lack of cohesion made the entire sequence drag horribly. Mercifully, the lethargic mid-section is followed by a superb set piece that makes up almost the entire second half of the episode. The characters having to hold their breaths to avoid detection was a brilliant way to ramp up the tension and filming all the fights at close quarters suited the claustrophobic tone perfectly. The final scenes in the TARDIS and Matt Smiths surprise cameo did a wonderful job of both establishing the new status quo while reaffirming the link between this and the now-concluded Eleventh Doctor era. Newer fans have grown used to the modern Doctors being trendy proto-hipsters that could (and did) pass for affable supply teachers. Capaldi, on the other hand, comes across more as stern headmaster with his steely gaze and cloak-like Crombie coat. The physical dissimilarity creates an uncertainty around the character in this episode, which Moffat uses cunningly to toy with the audience. When the Doctor seems to abandon Clara with the villain, theres genuine doubt that hell come back. This makes his return all the more triumphant since it proves that, though his methods are different, he still has Claras back. Hes still the Doctor. Moreover, the fact that he manipulated Clara to coax vital information out of the villain was a great indication of how this new incarnation differs from the last. You can imagine Eleven apologising ten times over in one breath for making Clara believe shed been deserted, whereas Twelve offers no such encouragement. For his costume, people have been comparing Capaldis Doctor to Pertwee, but in attitude towards people he seems like a mix of McCoy and Eccleston. 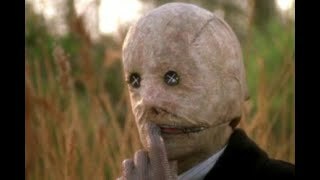 How the Half-Face Man met his fate and the suggestion that the Doctor may have pushed him is only significant if they escalate this over the series. The Doctor is not Superman, he openly admit hes willing to kill if given no alternative and, if the villain didnt off himself, that would have seemed to be the case here. It only really matters if we see some manic bloodlust that starts to overtake the new Doctor down the line. Nevertheless, it was a surprisingly visceral denouement for a Moffat script, which is so often wrapped up by timey-wimey shenanigans. Those who saw Deep Breath in cinemas may come away disappointed since the events of this episode lack the same scale and in-universe significance of the similarly-theatrical 50th anniversary special. Nevertheless, the episode is a worthy introduction to a brilliant new Doctor and an eighth series that looks like a return to form for Doctor Who.